Intres Capital Partners is a Malaysian-based Venture Capital firm formed through a Partnership of Malaysia Venture Capital Management Berhad (MAVCAP), QuestMark Capital Management Sdn Bhd, and Teak Capital Sdn Bhd. 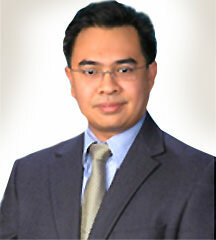 Mr. Amin Shafie is a Partner in Intres Capital Partners. He is also a founding partner of QuestMark Capital Management a venture capital management firm based in Kuala Lumpur with operations in Hong Kong. Prior to that, he was with MSC Venture Corporation, and involved in Malaysia’s first venture fund focused on the ICT industry. Throughout his tenure, he is active on the boards of portfolio companies involved in tv media, animation, new media & mobile applications, medical devices and green technology industry. His experience includes the setup and adoption of new business models and turnaround and workout strategies for such companies. Currently, he represents ADIF on the board of Easyuni, Vav Apps and Katsana . Mr. Amin Shafie graduated from Western Michigan University in USA with a BBA in Computer Information Systems. 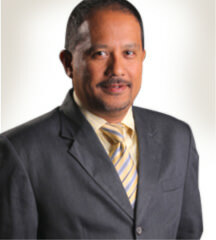 He is currently the Chairman of the Malaysian Venture Capital and Private Equity Association (MVCA). Ms. Chok Kwee Bee is a Partner in Intres Capital Partners. She is also the Managing Director of Teak Capital Sdn Bhd, a venture capital management company. Prior to that, she was with Walden International, a Silicon Valley based venture capital firm, overseeing the operations and investments of Walden International and BI Walden in Malaysia. Before becoming a VC, she was Head of Corporate Finance at AmInvestment Bank. 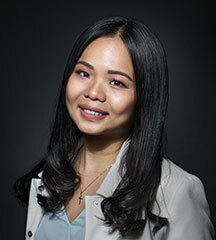 Ms. Kwee Bee is currently a member of the Malaysian Venture Capital Development Council (MVCDC) which was formed under the auspices of the Securities Commission; a non executive Board member of the Audit Oversight Board, a non executive Board member of Hong Leong Bank Berhad and a Management Committee Member of MVCA. She also sits on the board of several portfolio companies. Currently, she represents ADIF on the board of Maideasy and Easyparcel. 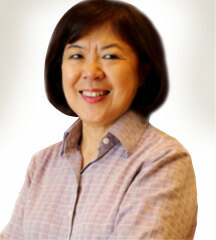 Ms Kwee Bee was also a past Chairman of the Malaysian Venture Capital and Private Equity Association (MVCA). She enjoys working with entrepreneurs and is passionate about helping them to realize their vision of building successful companies. A Partner in Intres Capital Partners, Mr. Jamaludin Bujang is also currently the Chief Executive of MAVCAP, a wholly-owned venture capital firm of the Ministry of Finance Inc. He joined MAVCAP in 2011 from another Government-ownedVC, Malaysian Technology Development Corp, specializing in biotechnology investments. Prior to that, he was an Investment Analyst with a number of local and international firms over a period of 15 years, specializing in the energy and telecommunications sectors. He graduated with BBA in Economics and Masters in Laws from the Wichita State University, USA and from the International Islamic University, KL. He is a past Chairman of Malaysian Venture Capital Association and a member of the Malaysian Venture Capital Development Council. Ivan is currently Vice President, Investment of Intres Capital Partners. He spent a short stint at Groupon Malaysia and Standard Chartered Bank prior to completing his Masters in Management and Finance at University of Sussex. He helps evaluate investment opportunities and actively supports the Partners and existing portfolio companies. He also holds a bachelor’s degree in Economics from Cardiff University. 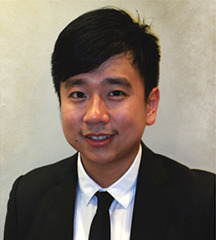 Ng Lee Boon is the Assistant of Vice President, Investment in Intres Capital. She is responsible for a wide range of analysis, compliance, corporate governance and due diligence tasks of our investment portfolio. She graduated from Tunku Abdul Rahman College with Advanced Diploma in Commerce ( Business Management ), majoring in Company Law and Malaysia Company Secretarial Practice. In the same year, she also received her Professional Diploma in Corporate Administration Certificate from Malaysian Institute of Chartered Secretaries and Administrators ( MAICSA ). Prior to joining the Company, Lee Boon completed a Summer Semester programme study in Liverpool and received her Degree in Commerce from Liverpool John Moores University. She also completed her examination and graduated from MAISCA as Grad-ICSA. Mastura is an Office Manager of Intres Capital Partners. She is responsible for the office operations management including preparation of accounts and reporting to the shareholders. In addition to providing administrative support to Intres, Mastura also works closely with our portfolio companies on banking and corporate secretarial matters. 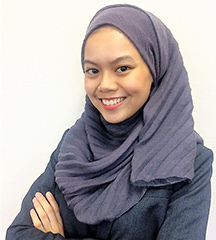 Before Intres, Mastura worked as an accounts and admin executive at an investment company, Malayan United Management Sdn Bhd, for 1 year and 3 months. She began her career by spending 2 years as an external auditor at SJ Grant Thornton, a member firm of Grant Thornton International Ltd (GTIL). 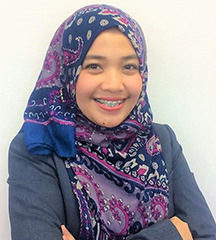 Mastura holds a Degree in Accounting from Universiti Teknologi MARA Shah Alam and graduated in 2011. Sarah Shafii is an Investment Manager at Intres Capital Partners. She completed Certified Accounting Technician (CAT) in 2012. In 2014 she received the Dean’s Award and became an Association of Chartered Certified Accountants (ACCA) affiliate in 2016. Sarah studied CAT and ACCA both in UiTM Shah Alam.